Blue Lace Agate Rough Blue Lace Agate from Namibia Low bulk pricing available!! 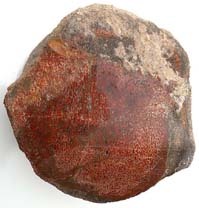 Red Flame Agate Rough Red Flame Agate Rough from Chihuahua, Mexico GOING FAST, ONLY ONE LEFT!! Top quality material from our "archives"! ONLY TWO PIECES LEFT! Astrophyllite Rough Rare Astrophyllite Rough from Russia ONLY ONE PIECE LEFT! Blue Chalcedony Rough Bulk Blue Chalcedony Rough in Bulk Only $30/pound! Chalcosiderite Rough Natural Chalcosiderite Rough from Candelaria, Nevada. Rare Turquoise Family Material! Mary Ellen Jasper Rough Mary Ellen Jasper (Fossil Stromatolite) from Minnesota Red Jasper with swirls of hematite! Nice big slabbers as well as small pieces for folks with 4" and 6" saws. Ocean Jasper Rough NEW!! Ocean Jasper from Madagascar from $2.00/pound to $28.00/pound! Lapis Lazuli Rough Lapis Lazuli from Afghanistan in 3 Grades! Montana Bark Rough Montana Bark (fossilized stream bed) from Montana ONLY TWO PIECES LEFT! ON SALE + BULK PRICING AVAILABLE!! LARGE SLABBERS ONLY $5/LB!!!! Youngite Rough Youngite Rough from Wyoming FLUORESCENT! !